The first HotTopics meeting organized under the flag of the brand new BioSB research school took place on January 13th 2014, with the topic “Virus Discovery and Beyond”. The afternoon featured four presentations that covering the latest developments in virus classification (Gorbalenya), virus discovery by metagenomics (Schürch), interpretation of viral sequences (Dutilh) and the involvement of viruses in the marine ecosystem (Brussaard). Viruses are the most abundant and diverse biological entities on earth. Currently, their taxonomic classification recognizes only several thousand species, a large fraction of which infect humans. These numbers stand in sharp contrast with the diversity of the cellular organisms on which these viruses depend for their replication. While the bioinformatic analysis of metagenomes, including assembly and annotation of viral contigs or even complete genomes, is making great headway, a revolution in the accepted approaches for taxonomic classification is needed. The twenty participants shared insights and ideas in an informal setting. This HotTopics meeting was a great opportunity for us to expand our network and learn more about the state of the art in this broad field. 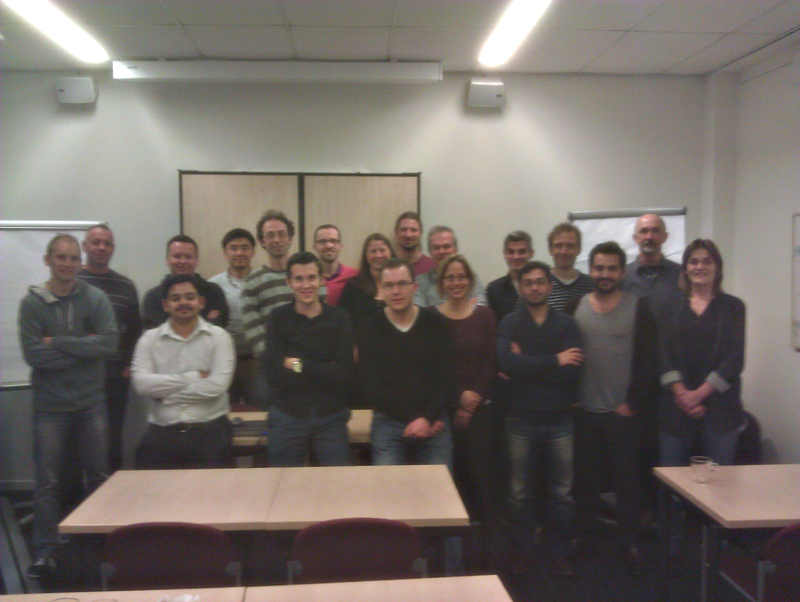 Thanks to Arno Andeweg, Marc van Driel, Bas Dutilh, Femke Francissen, and Sasha Gorbalenya for organizing the meeting! HotTopics are a series of BioSB meetings committed to bringing scientists together to discuss the concepts and methods on a hot topic in their research field. It should provide a platform to keep in touch with peers in the field and foster sharing of new insights, applications and collaborations. Therefore, the aim of the meeting is not to present the latest results of your own work, but rather to identify new trends and breakthroughs in the field in general. We are always looking for new topics for future meetings, if you have ideas please contact us! 2014 January 28 in HotTopics, News.